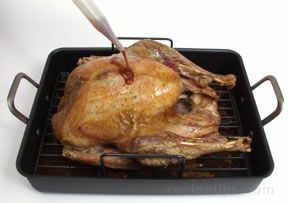 "Extremely helpful for learning how to carve up a bird. 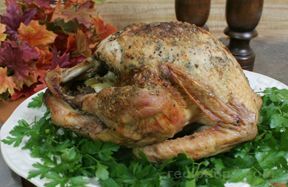 This approach takes the ... read full review"
Turkey parts such as wings, legs, and breasts can be purchased at most food stores already cut and packaged, but it is usually more economical to purchase a whole turkey and cut it up at home. 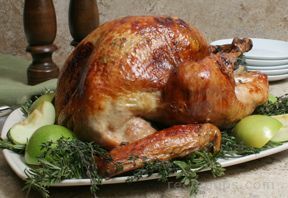 The turkey should be well chilled, which will allow it to be cut up more easily. A sharp knife is essential and a heavy-duty kitchen shears is helpful to ensure proper results. 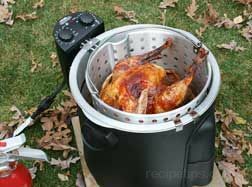 Pictured below are the pieces that can obtained when cutting up a whole turkey. 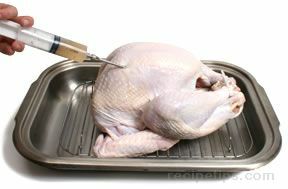 Before you can begin cutting the turkey into individual parts, remove the leg clamp. 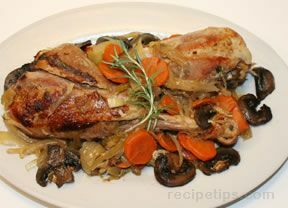 Remove the giblets and neck, which are usually found in a package in the body cavity. 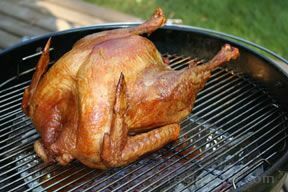 A turkey wing can be removed by pulling it away from the body and cutting into the hollow area between the wing and the breast. When the wing joint (shoulder joint) has been exposed, cut through it while continuing to pull on the wing in order to release it from the body. The process can be repeated for the other wing. The flat middle section of the wing beyond the elbow may be separated from the wing tip and used as one piece. 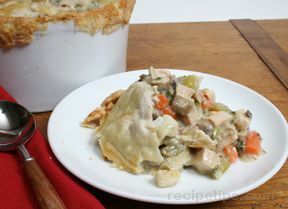 There is not much meat on the wing tip, but it may be saved and added to soup or stock to provide flavoring. 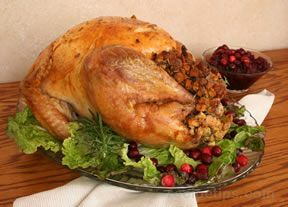 A turkey leg is removed by cutting through the skin between the thigh and the body to reveal the joint. Continue cutting while pushing on the leg to open the joint and then cut through the joint to release the leg. Repeat this procedure for the other leg. 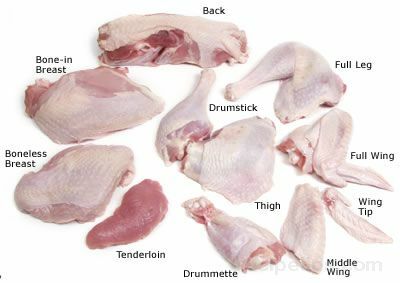 The leg can be left as is or it may be cut at the middle joint to form two pieces known as the thigh and the drumstick. 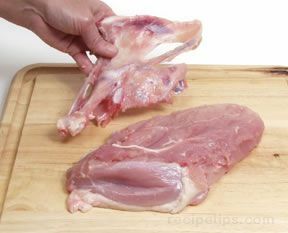 Thigh meat is often sold with the bone removed. 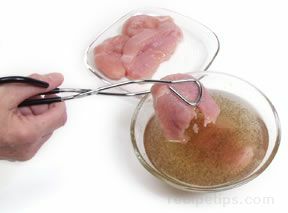 The breast can be removed whole or in halves. 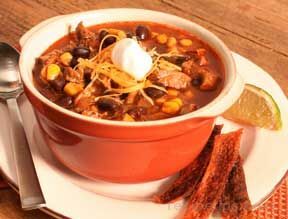 The bones can be left or they can be removed to make preparation and serving easier. In order to remove the breast from the body cavity, cut along the rib cage from the the tail end to the neck on both sides of the bird. 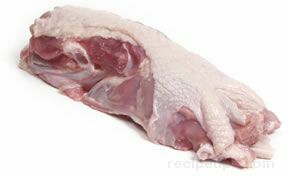 Place the breast upside down (skin side down) and cut along the breastbone through the bone and the meat, which will split the breast into halves. Cut the meat along the breastbone. Cut along the edge of the wishbone and the keel bone. Cut along the ribs on one side of the breastbone using short, swiping cuts. 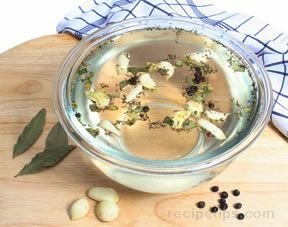 Remove the ribs from the breast half and save them for use in the soup or stock pot. 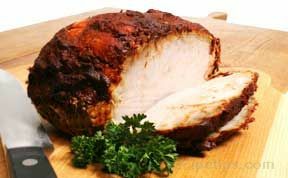 The boneless breast turned skin side up. 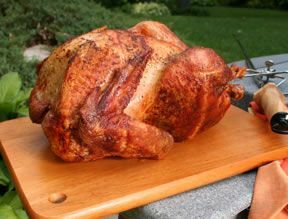 A boneless turkey breast can be cut across the grain to yield steaks that are ½ to 1 inch thick. Two of the steaks make an ample serving for one person. 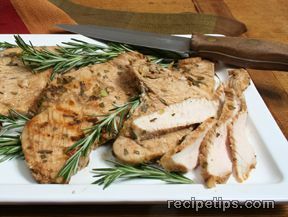 The breast can also be cut across the grain to produce cutlets, which are thinner than steaks and cook much more quickly. 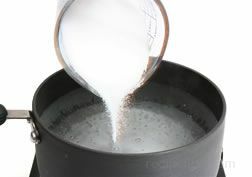 The cutlets can be pounded to make them even thinner and to tenderize them. 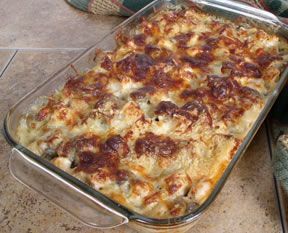 The pounded cutlets can be sautéed and used for a number of recipes. 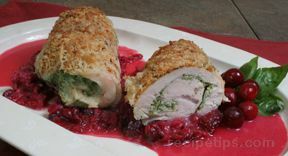 Turkey tenderloins may be cut from each breast half. They are located on the inside of each breast half next to the keel bone. 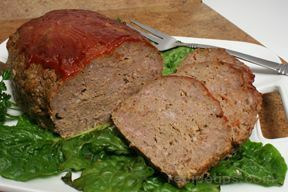 The tenderloin is a long cylindrically shaped muscle that is easily removed from the rest of the breast meat. 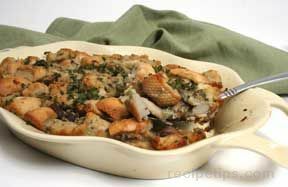 The tendon in the middle of the tenderloin should be removed before cooking. 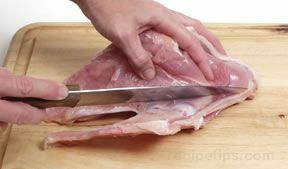 Pull on the end of the tendon while making swiping cuts along the meat attached to the length of the tendon. 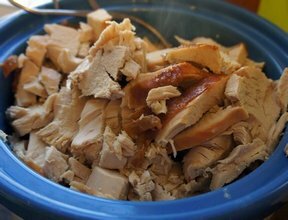 After removing the wings, legs, and breast, the remaining portion of the turkey carcass is the back. 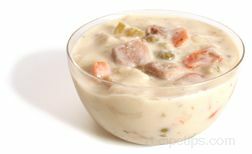 There is some meat and skin that can be removed, which can be ground or used in soups and casseroles. After the choice bits have been removed, the bones and any remaining meat can be used for stock. 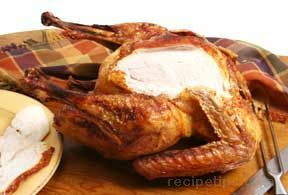 It is easier to cut up a whole turkey if it is not quite fully thawed. 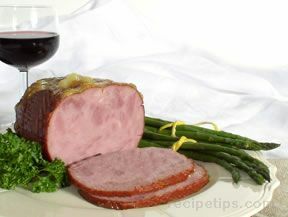 The muscle tissue will be slightly stiff, which allows for less effort in cutting. "Extremely helpful for learning how to carve up a bird. This approach takes the stress out of cutting the bird all at once at the table"